GEORGIA. Pankisi Gorge, a Chechen refugee settlement. 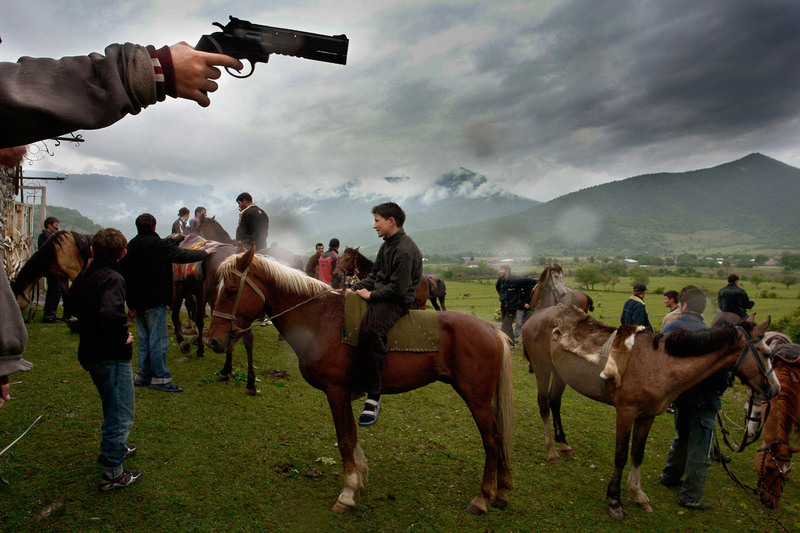 Festival of Victory day, where young men hold toy guns and play war games. May. 2008. Chechen Boys. Pankisi has no jobs for the young men to start working. Without any money, they cannot step outside Pankisi. Because the Georgian government has not yet supported them with any legal documents, it's impossible for them to search for jobs in the city.